Under the authority of the Motorized Snow Vehicle Act (MSVA) The Minister of Transportation (MTO) has authorized the Ontario Federation of Snowmobile Clubs (OFSC) as an agent to issue snowmobile operator's licenses. The OFSC provides members of the public with the knowledge and skills required to safely operate a snowmobile. The Ministry provides the curriculum and all revisions to the curriculum. Age requirement: The Ontario Federation of Snowmobile Clubs has a contract with the Ministry of Transportation to train students in the safe operation of a snowmobile. In order to register, a student must be 12 years of age or over on the day the course is held. Course material: All course material is approved by the Ministry of Transportation. Course fees: The course fee is set by the Ministry of Transportation and includes the cost of the student's books. The Driver Training Program is self-supporting from the registration fee and requires no funding from either the OFSC or the MTO. The course fee is currently set at $40.00 by the MTO and includes all course materials. Length of course: The course is a minimum of six hours of classroom instruction. Number of students: The course size is limited to a maximum of 45 students at each training session. Certificates/Licenses: Upon the successful completion of the driver training course including a written exam, a student is issued a Motorized Snow Vehicle Operator's Licence. The students who possess a valid Ontario Drivers Licence of any class at the time of taking the course are given a card certifying completion of the course. 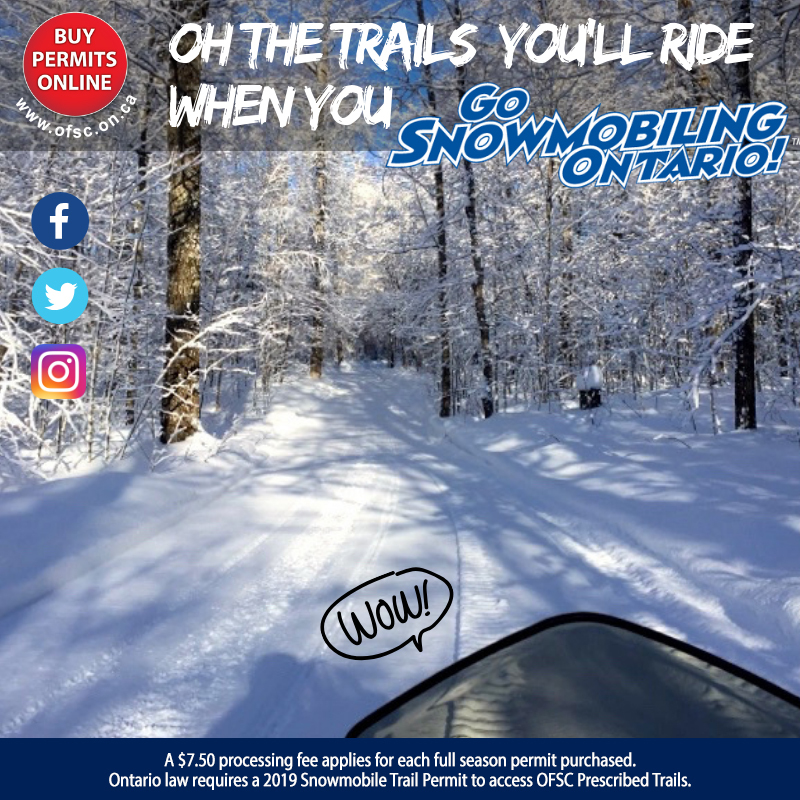 A motorized Snow Vehicle Licence or a valid Ontario Drivers Licence of any class is required by anyone who operates a snowmobile off their own property. Where to get training: There are several clubs within the Snow Country Snowmobile Region that host Driver Training courses each fall. Please contact the Snow Country Office at 877-376-7669 for more information.